Ahoy Matey! 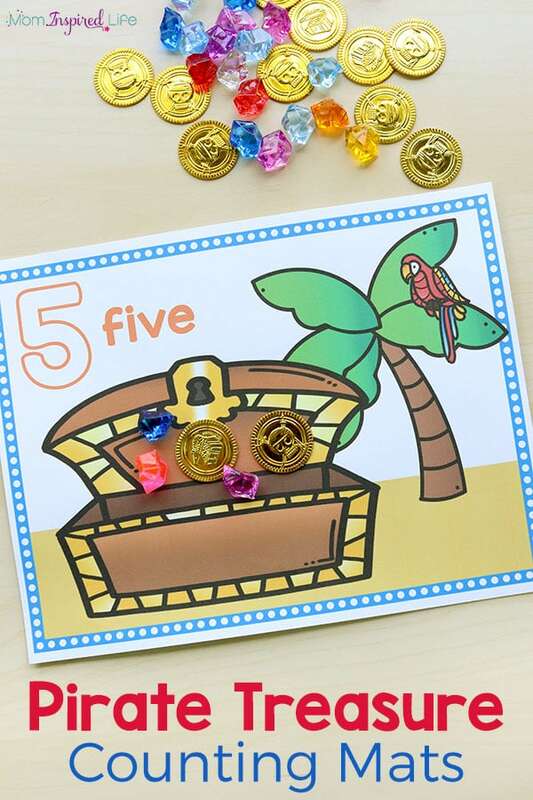 Your kids will learn numbers and practice counting with these fun pirate treasure counting mats! 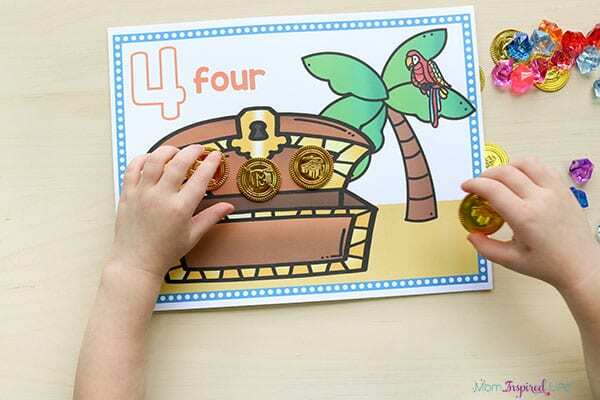 This pirate math activity is sure to be a hit! My kids love all things pirate. Especially pirate treasure! 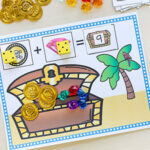 Gold coins and gems are a sure bet when it comes to engaging them in any activity. Needless to say, these pirate treasure counting mats did not disappoint. The key here is definitely the coins and gems. I highly recommend you get some rather than just printing out some coins on paper or something like that. 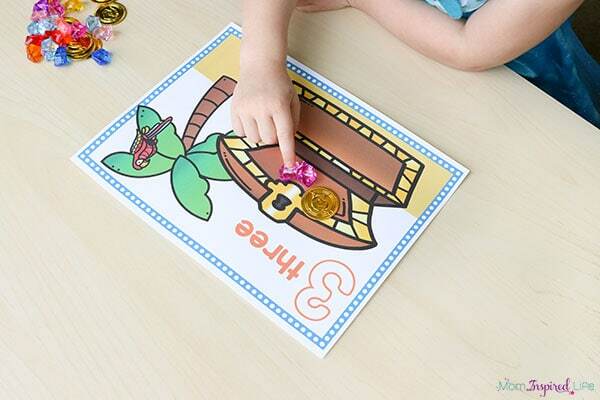 Getting to hold coins and gems in their hands and pretend they really do have pirate treasure is all part of the fun. 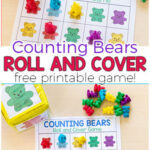 If you will be using these counting mats with multiple children, you should definitely laminate them or slip them into these dry-erase sleeves. 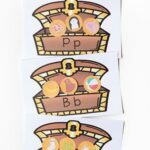 As soon as I pulled out the pirate coins and gems, my kids were super excited to get started with this math activity! 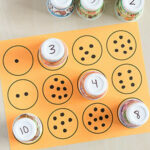 I am telling you, I am not sure that there is another math manipulative that is more engaging for kids. 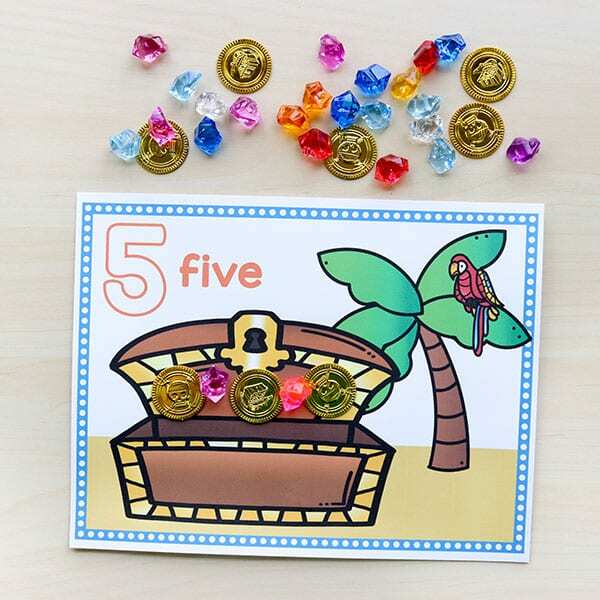 Anyway, they quickly started grabbing pirate coins and gems to use on their counting mats. 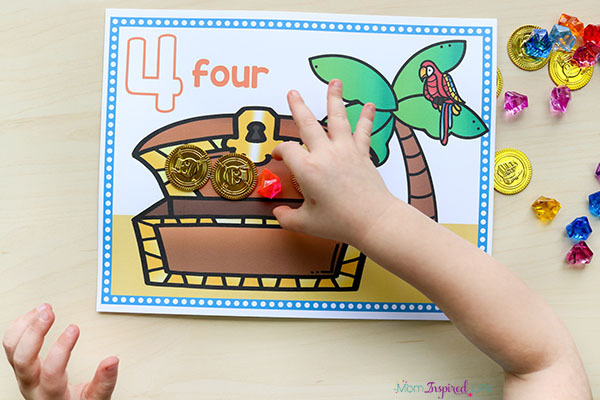 My (almost) 4 year olds used the pirate treasure counting mats with lower numbers and my son used the mats with higher numbers. 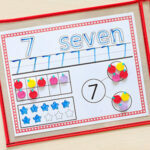 I let them add any combination of coins and gems to equal the number on the mat. 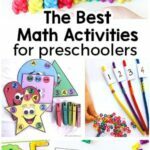 They both LOVED it this math activity! I can definitely say that we will be doing this one again. 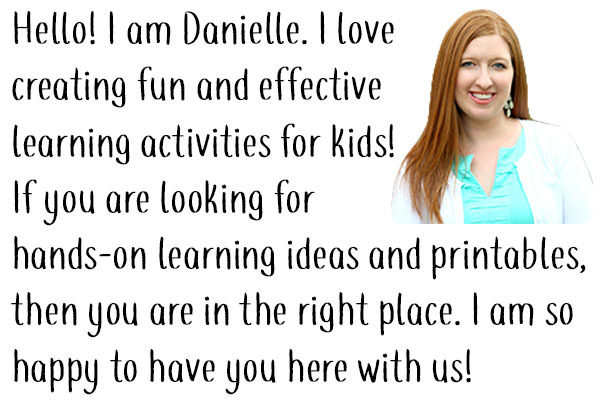 And stay tuned because I have another version coming out that will help children work on addition. Here are some more counting mats you should check out!